So what’s new in Essentials 2016? Of course we have all the new technologies included with Server 2016 Standard, but of course we need to focus in on improvements to Essentials itself. 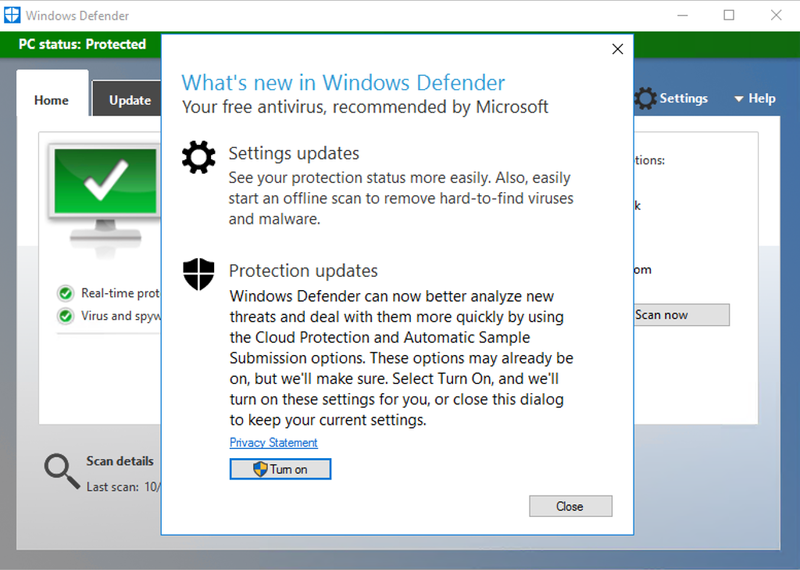 On opening the Dashboard, the first change we notice is a new menu item to ‘Setup Windows Defender’. Once enabled, we can go to the General page in Settings and look at the configuration options. This leads us to the Windows Defender that is now shipped with Server 2016 and the familiar interface that started with Microsoft Anti Spyware (then Microsoft Security Essentials). 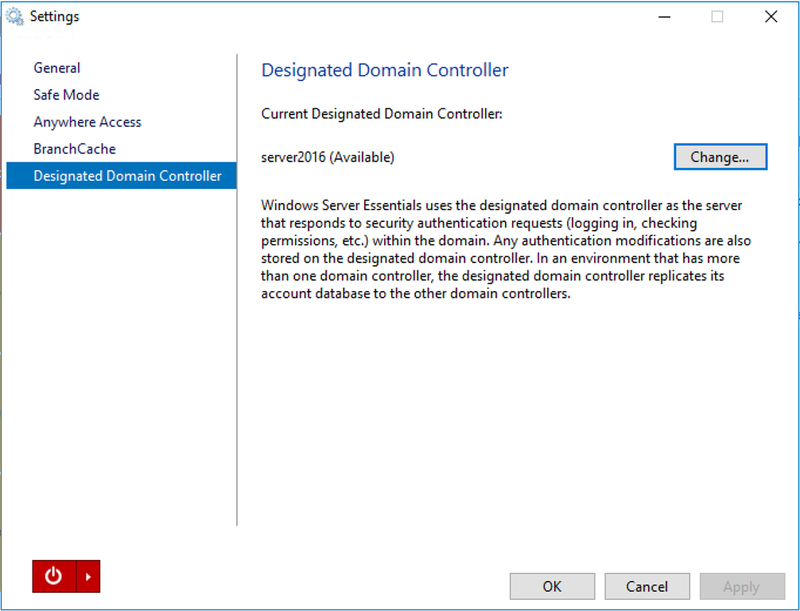 Staying in Settings, we can see the option for ‘Designated Domain Controller’. As the name suggests we can now designate a Domain Controller for our Essentials services to look at. This ties in with the change that allows Essentials to support multi domain environments. However do note this only applies to the Essentials Role, not the SKU. More information on this can be found here but this is a good summary. Not mentioned is multi Forrest support, so I think it is safe to say this would not be supported. 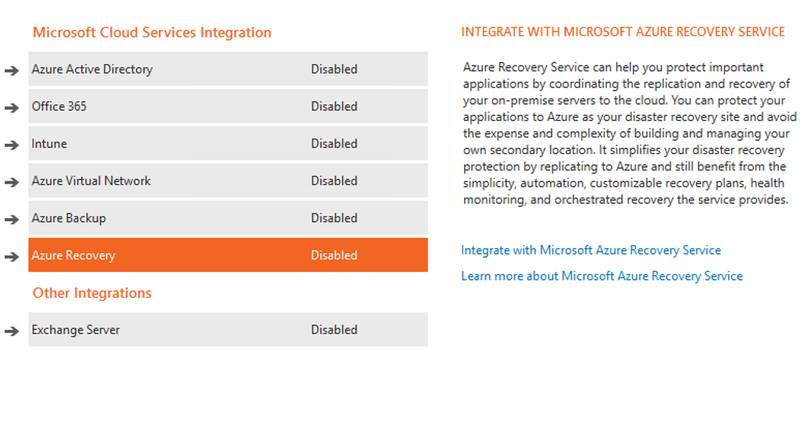 Azure integration has also been much improved. With support rolled into the Dashboard for Azure Site Recovery and Azure Virtual Networks. With additional support for Azure Active Directory and Multiple Office 365 Subscriptions (in the same tenant) finally being rolled in, are these changes enough to get people on-board with this product? It remains to be seen. A lot of discussion within the small remaining SMB focussed MVP group suggests the consensus is that Essentials is a dead product, certainly in its fourth generation, it is still not the ‘Turn Key’ solution for a small business owner that Microsoft intended it to be. However if the new integration with Cloud Services like Azure Virtual Networking has been done well, it could be the product that helps a lot of small businesses start their journey away from reliance on local servers and storage, at it’s core it still provides a local Active Directory and Client PC Backup, which in today’s world of Ransomware is too often overlooked. Was excited to see an update on WSE16. 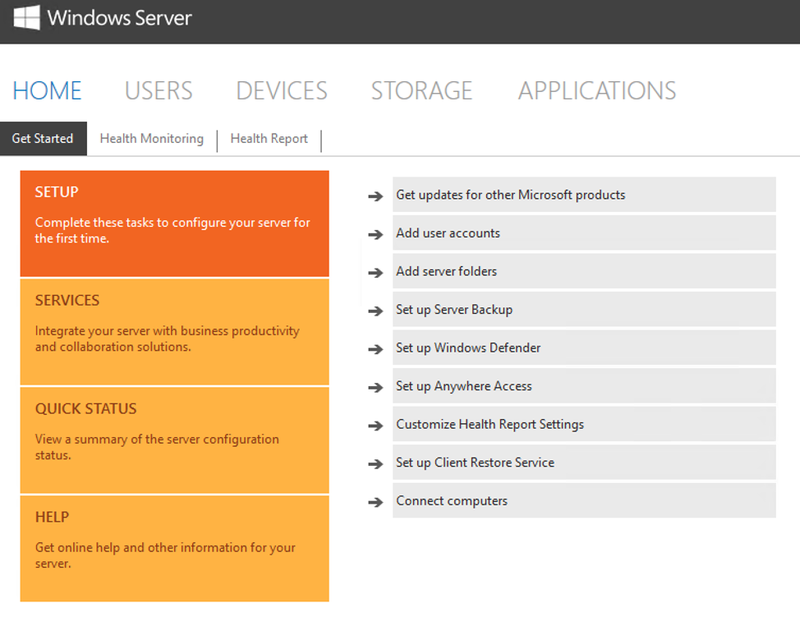 Have run each of the WHS incarnations and am now running Windows Server Essentials 2012 R2 in a home environment. Primarily use it as a file server for centralized storage with a few domain clients, central manage my home movies/music collection for family and perform windows client backups. The domain controller feature being one I don’t utilize enough. Instead I’ve used the skipdomainjoin hack in most cases. Have also added a few family members to the domain and use DirectAcess to keep a constant secure “VPN” connection between them and my home server for nightly client backups. In many cases these family members are out of state. Worst case, I’d have them ship me their hardware and I’d do a bare metal restore to recover their data. In my use case, can’t quite see a benefit for cloud server service like Azure. Especially when speed of access to local data for streaming media is critical. I’m resigned to fact that I’ll likely run some form of local file server for the foreseeable future unless I’m overlooking benefits of Azure in a home environment. Always enjoy your Windows Server/Essentials updates. Please keep it up! By the way, any chance you tried an upgrade from 2012, and if so, were Client Computer Backups preserved this time around (which would be a first)? I did a fresh install of Windows Server 2016 Standard with Essentials role installed. However I skipped domain join and DNS and use Veeam Endpoint for backup of clients so really all I use it for is an RD Gateway to connect to the clients while out of the office without the need for VPN. It’s easier to configure and manage than manually configuring RD Gateway on Windows Server. I do feel that Essentials is out-dated now even with the upgrades. Having had Essentials from 2012 and Windows Home Server before that, I had hoped more plugins would be built for the eco-system but there are only a handful these days. I had also hoped the health monitoring of clients could be a cheap, on-prem alternative to Intune but it’s pretty basic. Having said that, Plugins such as WSE RemoteApp (https://www.theofficemaven.com/products/wse-remoteapp-2016) are a great addition to functionality without needing a full domain etc. We are planning to move to Essentials 2016 from our existing Essentials 2012 r2. We have a single PowerEdge T710 server and I would appreciate some guidance on the best way to install. I recall seeing a comment from you that it’s best to do a clean install on a spare PC and then move it over. Can you provide some guidance on the process of moving the installation from the PC to the server, as this is new territory for us.